Eventon Sync addon can fetch events from any public Google Calendar. The Google API key you created will only allow you to read from public calendars. Adding a google calendar that is not public will not fetch events from google calendar to eventon. 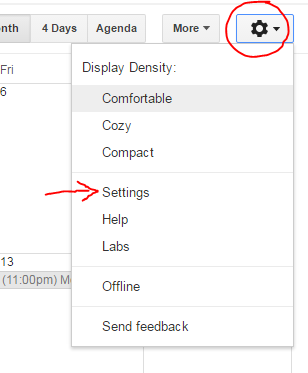 Open google calendar and go to calendar settings. There you have it, that will make the calendar public. NOTE: Keep in mind by making a google calendar public, the calendar can be reached also from google or by whomever have the calendar ID or a link to your calendar on Google.